‘Tis the season for giving, so today we’re supporting the Streets of London soup market being held in Paternoster Square from 11.30am. 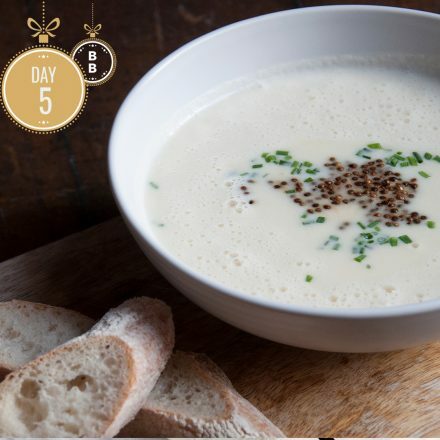 Head down and warm up with a piping hot bowl of delicious soup from some of London’s top restaurants, all in the spirit of charity. All donations will go directly to the Streets of London charity to help them tackle homelessness in our capital this winter. So for a bowl of our famous Sweet corn & ancho chilli oil soup, and a dose of Christmas cheer, make your way there this lunchtime. For more information click here.